Bombus or Apis? You bee the judge. 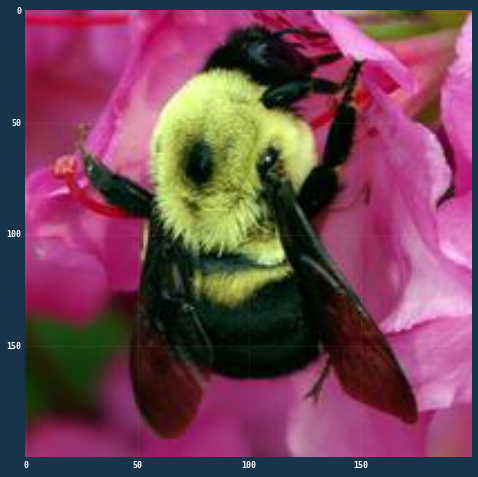 Metis wants to know: using images from BeeSpotter can you identify a bee as a honey bee or a bumble bee? These bees have different behaviors and appearances, but given the variety of backgrounds, positions, and image resolutions it can be a challenge for machines to tell them apart. Wild bees are important pollinators and the spread of colony collapse disorder has only made their role more critical. Right now it takes a lot of time and effort for researchers to gather data on wild bees. 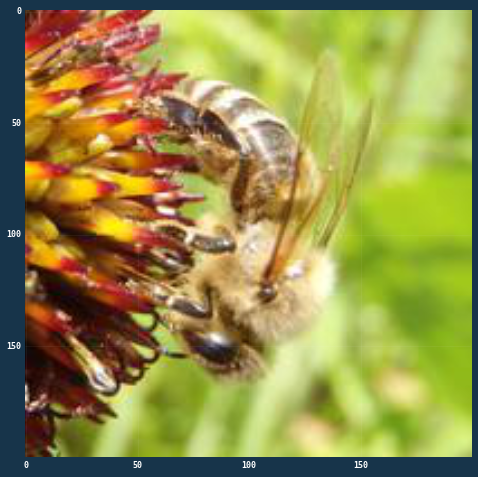 Using data submitted by citizen scientists, Bee Spotter is making this process easier. However, they still require that experts examine and identify the bee in each image. You're goal is to build an algorithm to help. The starting point is to determine the genus—Apis (honey bee) or Bombus (bumble bee)—based on photographs of the insects. Metis accelerates your career in data science. Located in both New York City and San Francisco, we offer full-time, in-person “bootcamps” for the career switcher and part-time courses in specific data science areas for the skill-builder. Our portfolio of data science courses offer project-based training using real data and taught by world-class industry practitioners. Sign up to learn more about Metis! By downloading a dataset linked from the Competition Website, submitting an entry to this Competition, or joining a Team in this Competition, you are agreeing to be bound by these Competition Rules which constitute a binding agreement between you and DrivenData and, if applicable, any rules and restrictions that may be imposed by the Competition Sponsor. The is hosted by DrivenData, Inc ('DrivenData’'). The Competition will run according to the dates listed on the Competition Website (the “Competition Period”). The Competition is open to all individuals over the age of 18 at the time of entry and to all validly formed legal entities that have not declared or been declared in bankruptcy. There is no purchase or donation necessary to enter the Competition. You are not eligible to receive any Prize in the Competition if you are a resident of a country designated by the United States Treasury’s Office of Foreign Assets Control. If you meet the eligibility requirements and would like to participate, then you must first complete the registration process at www.drivendata.org (the "Website") within the Competition Period. After you complete the registration process, you will receive access to the Data (described on the Competition page) that will enable you to develop and submit one or more Entries (as defined below). All Entries must be received during the Competition Period. To register, visit the Website and follow the onscreen instructions to complete and submit your registration. All of the registration information that you provide is collectively referred to as your "Account". (If you have already created an Account at www.drivendata.org, enter your user name and password and follow the on-screen instructions). After you register individually, you may join a team (a "Team"), only if expressly permitted by these rules below, but you may register only once. If you register for the Competition more than once, you will be, and the remainder of your Team may be, disqualified in DrivenData’s sole discretion. BY ENTERING THE COMPETITION YOU ACCEPT THE CONDITIONS STATED IN THESE OFFICIAL RULES INCLUDING THE RULES ON THE COMPETITION PAGE, AGREE TO BE BOUND BY THE DECISIONS OF THE JUDGES, SPONSOR AND DRIVENDATA AND WARRANT THAT YOU ARE ELIGIBLE TO PARTICIPATE IN THE COMPETITION. IF YOU DO NOT ACCEPT ALL OF THESE OFFICIAL RULES, THEN PLEASE DO NOT REGISTER FOR THE COMPETITION. WE RECOMMEND THAT YOU PRINT OUT A COPY OF THESE OFFICIAL RULES FOR YOUR FUTURE REFERENCE. Each Entry must be uploaded to the Website in the manner and format specified on the Website. All Entries must be received during the Competition Period. An "Entry" is the data submitted in the manner and format specified on the Website via the Entry form. The number of Entries a Participant may submit during each calendar day of the Competition Period will be displayed on the Competition page. If the Competition is a multi-stage Competition with temporally separate training data and/or leaderboard data, one or more valid Entries must be submitted and selected during each stage of the Competition in the manner described on the Website. This Competition is a challenge of skill and the final results are determined solely by leaderboard ranking on the private leaderboard based on an objective statistical evaluation metric published on the Competition Website prior to commencement of the Competition (subject to compliance with these Competition Rules). Participants' scores and ranks on the Competition Website at any given stage of the Competition will be based on the objective statistical evaluation metric described on the Competition Website, as determined by applying the predictions in the Submission to the ground truth of a validation dataset whose instances were a fixed set sampled from the Data. The Prize Winner(s) will receive their prizes awarded as a check or wire transfer from DrivenData. As a condition of receipt of the prize, winner must deliver the algorithm’s code and documentation to DrivenData. The source code must contain a description of resources required to build and run the algorithm. The accompanying documentation should be consistent with DrivenData’s Winning Model Documentation Template, which will be provided to winners within 30 days of the end of the Competition Period. The prize may be awarded to an alternate winner if required documentation is not returned within thirty (30) days after mailing to winner, if prize notification letter/email or prize is returned as undeliverable, or if winner does not respond to an email or other communication from DrivenData within ten (10) days of the date sent. Allow thirty (30) days for prize delivery. By accepting any prize/award, Winner agrees to allow DrivenData and/or the Competition Sponsor to disclose Winner’s first name, first initial of last name, and city of residence, as well as prize information to the extent required by law, and if so required by law, Winner agrees to the disclosure of additional personal information, all without additional compensation. PARTICIPANT INTELLECTUAL PROPERTY LICENSING. As a further condition of receipt of a Prize, each winning Participant thereby licenses their winning Submission and the source code used to generate the Submission according to the Winner License Type specified in the Competition Guidelines (note: if no Winner License Type is specified above, the Winner License Type is deemed to be Non-Exclusive License). RECEIVING PRIZES. After verification of eligibility, if prizes are awarded, each Prize winner will receive the prize in the form of a check or wire transfer from DrivenData made out to the Prize winner (if an individual, or to the individual Team members if a Team). Allow 30 days from final confirmation for Prize delivery. Any winners who are U.S. citizens will receive an IRS 1099 form from DrivenData in the amount of their prize at the appropriate time. Prize winners are responsible for any taxes, fees or other liability resulting from their receipt of a Prize. Except where prohibited by law, entry constitutes permission to use winners’ names, hometowns and likenesses for online posting, and/or any advertising and publicity without additional compensation. Winners may also be required to sign and return a release of liability, declaration of eligibility and, where lawful, a publicity consent agreement, as conditions of receiving a prize. Failure to comply with the aforementioned conditions shall be grounds for forfeiture of a prize. DATA. 'Data' means the Data or Datasets linked from the Competition Website for the purpose of use by Participants in the Competition. For the avoidance of doubt, Data is deemed for the purpose of these Competition Rules to include any prototype or executable code provided to Participants by DrivenData via the Website. Participants must use the Data only as permitted by these Competition Rules and any associated data use rules specified on the Competition Website. By registering, you agree that (a) your Account is complete, correct and accurate and (b) your registration may be rejected or terminated and all Entries submitted by you and/or your Team may be disqualified if any of the information in your Account is (or Competition Sponsor or DrivenData has reasonable grounds to believe it is) incomplete, incorrect or inaccurate. You are solely responsible for your Account. All registration information is deemed collected in the United States. By entering the Competition, you release and discharge the Competition Sponsor and DrivenData from any liability whatsoever in connection with the Competition or with the acceptance, possession, use or misuse of any prize including, without limitation, legal claims, costs, injuries, losses or damages, demands or actions of any kind (including, without limitation: personal injuries; death; damage to, loss or destruction of property; rights of publicity or privacy; and defamation or portrayal in a false light). The Competition Sponsor and DrivenData will not be responsible for typographical, printing or other inadvertent errors in these Official Rules or in other materials relating to the Competition. Additionally, you hereby agree to indemnify the Competition Sponsor and DrivenData from any and all losses, damages, costs, expenses, rights, claims, demands and actions (including attorney's fees and expenses for litigation and settlement), which may be brought against any one or more of them by anyone claiming to have suffered loss or damage as a result of your participation in the Competition or for any breach of any representation or warranty herein. All federal, state, and local laws apply. DrivenData, Inc., Sponsors, and the employees, officers, directors, shareholders, agents, representatives, affiliates, subsidiaries, and advertising, promotional and legal advisors thereof are not responsible and shall not be liable for: (i) late, lost, delayed, damaged, misdirected, incomplete, illegible, or unintelligible entries; (ii) telephone, electronic, hardware, or software program, network, Internet, or computer malfunctions, failures, or difficulties; (iii) errors in transmission; (iv) any condition caused by events beyond the control of DrivenData, Inc. or Sponsors that may cause the contest to be disrupted or corrupted; (v) any injuries, losses, or damages of any kind caused by a prize or resulting from acceptance, possession, or use of a prize, or from participation in the contest; or (vi) any printing or typographical errors in any materials associated with the contest. You understand that we cannot and do not guarantee or warrant that files available for downloading from the internet or the Website will be free of viruses or other destructive code. You are responsible for implementing sufficient procedures and checkpoints to satisfy your particular requirements for anti-virus protection and accuracy of data input and output, and for maintaining a means external to our site for any reconstruction of any lost data. DRIVENDATA AND SPONSORS WILL NOT BE LIABLE FOR ANY LOSS OR DAMAGE CAUSED BY A DISTRIBUTED DENIAL-OF-SERVICE ATTACK, VIRUSES OR OTHER TECHNOLOGICALLY HARMFUL MATERIAL THAT MAY INFECT YOUR COMPUTER EQUIPMENT, COMPUTER PROGRAMS, DATA OR OTHER PROPRIETARY MATERIAL DUE TO YOUR USE OF THE WEBSITE OR ANY SERVICES OR ITEMS OBTAINED THROUGH THE WEBSITE OR TO YOUR DOWNLOADING OF ANY MATERIAL POSTED ON IT, OR ON ANY WEBSITE LINKED TO IT. YOUR USE OF THE WEBSITE, ITS CONTENT AND ANY SERVICES OR ITEMS OBTAINED THROUGH THE WEBSITE IS AT YOUR OWN RISK. THE WEBSITE, ITS CONTENT AND ANY SERVICES OR ITEMS OBTAINED THROUGH THE WEBSITE ARE PROVIDED ON AN “AS IS” AND “AS AVAILABLE” BASIS, WITHOUT ANY WARRANTIES OF ANY KIND, EITHER EXPRESS OR IMPLIED. NEITHER THE COMPANY NOR ANY PERSON ASSOCIATED WITH THE COMPANY NOR SPONSORS MAKES ANY WARRANTY OR REPRESENTATION WITH RESPECT TO THE COMPLETENESS, SECURITY, RELIABILITY, QUALITY, ACCURACY OR AVAILABILITY OF THE WEBSITE. WITHOUT LIMITING THE FOREGOING, NEITHER THE COMPANY NOR ANYONE ASSOCIATED WITH THE COMPANY NOR SPONSORS REPRESENTS OR WARRANTS THAT THE WEBSITE, ITS CONTENT OR ANY SERVICES OR ITEMS OBTAINED THROUGH THE WEBSITE WILL BE ACCURATE, RELIABLE, ERROR-FREE OR UNINTERRUPTED, THAT DEFECTS WILL BE CORRECTED, THAT OUR SITE OR THE SERVER THAT MAKES IT AVAILABLE ARE FREE OF VIRUSES OR OTHER HARMFUL COMPONENTS OR THAT THE WEBSITE OR ANY SERVICES OR ITEMS OBTAINED THROUGH THE WEBSITE WILL OTHERWISE MEET YOUR NEEDS OR EXPECTATIONS. Any legal suit, action or proceeding arising out of, or related to, the Competition or the Website shall be instituted exclusively in the federal courts of the United States or the courts of the Commonwealth of Massachusetts although we retain the right to bring any suit, action or proceeding against you for breach of these Competition Rules in your country of residence or any other relevant country. You waive any and all objections to the exercise of jurisdiction over you by such courts and to venue in such courts.